The Office of Children’s Issues provides regular updates to families and adoption service providers specifically affected by legal actions taken regarding hogares or child care centers for children in Guatemala awaiting international adoptions. If you received this e-mail in error and do not wish to receive future updates please notify AskCI@state.gov using the subject line: Remove My Name from the Guatemala Hogar List Serve. Similarly, if you have friends or colleagues who would like to receive these updates, ask them to contact AskCI@state.gov using the subject line: Add My Name to the Guatemala Hogar List Serve. These updates will focus only on recent developments; for a comprehensive review of intercountry adoptions in Guatemala, please consult the Guatemala section of the Office of Children’s Issues general website www.Adoption.State.Gov. We remind everyone that the U.S. Embassy in Guatemala is not officially notified of investigations of individual hogares. Many of the investigations involve allegations of criminal wrongdoing. The United States Government does not have any official legal standing in these cases; thus we may not be informed and may also be officially barred from receiving routine information. According to our records, adoptions petitions are still pending for 16 of the original 46 children who were taken into custody from Casa Quivira. For several of the cases, the Solicitor General’s Office (PGN) has identified irregularities and these cases will have to be processed as abandonment cases through the CNA. The Guatemalan government has agreed that these cases (if all requirements have been complied with) can be processed as transition cases and will not have to wait for the new procedures to be drafted and implemented. A decision was issued by Judge Mena in 2009 determining adoptability of the children, including those already adopted and living in the United States. However, some errors were found in the final resolution and the Office of the Solicitor General (PGN) appealed the judge’s decision. The appeals Court, “Sala,” agreed with the decision of Judge Mena and sent the case back to her for the technical corrections. There was no appeal to the Sala’s decision. Various appeals and motions continue to delay the court hearings, underway since March 2009, to determine the eligibility for adoption of more than 50 children from Semillas de Amor (including some children already adopted and living in the United States). Most recently, on December 4, some prospective adoptive parents challenged PGN requests that some Semillas de Amor children be returned to extended families. If this plan had been accepted by the judge, it would have ended the adoption process for these prospective adoptive parents. One motion was recently decided in favor of the prospective adoptive parents, and several are still pending. Because all Semillas de Amor cases are under one court docket number, these appeals create a new timeline for all cases. Earlier this year, the presiding family court judge who had been hearing these cases retired and a new judge was appointed. Once all the motions and appeals are decided, the proceedings will resume at the same place where they were stopped on the last day of closing arguments before the previous judge. The Embassy learned in 2009 that Asociacion Santa Lucia de las Flores Silvestres had been under investigation by the Guatemalan Attorney General’s office since 2008. The Embassy has been in contact with some of the prospective adoptive parents. We understand there were at least five children indentified for adoption by American citizens being cared for at this home. Many of the children taken from this orphanage are now living in various hogares until a judge decides on their cases. The case is still under investigation. On August 13, 2009, the Embassy learned about an action by Guatemalan authorities involving 17 children from the Hogar Asociación Primavera, 16 of whom had been matched with U.S. adoptive families. We have since learned that the children were transferred to the following hogares: Casa Alegría, Casa Bernabé, and Amor del Niño. A police investigation continues, and the judge in Esquintla who approved many of the abandonment cases from Hogar Primavera is now under criminal investigation. On December 16, the Guatemalan press reported that Susana Maria Luarca Saracho, a facilitator of international adoptions for Asociacion Primavera, was arrested by the Ministerio Publico on charges of irregular adoptions. She was later released on Q50,000 bail (just over $6,000) and is under house arrest. On May 6, 2008 an action was taken against a hogar on 11 Avenida 7-51, zona 11, Quinta Samayoa, Guatemala City. Rosalinda Rivera was apprehended at this location and 9 infants were removed from her custody. Ms. Rivera did not provide the necessary paperwork to prove this was an authorized home. The children are all living in other hogares awaiting a decision on their case. The following are brief updates on issues or related developments on pending adoption cases that are not under investigation or in the courts. Consular officers and the U.S. Citizenship and Immigration Services (USCIS) officers in Guatemala City are in regular contact with Guatemalan officials about the current situation and to look for approaches that could streamline the process, coordinate the flow of information to adoptive families, and permit all adoptions to move forward. In some instances, the Ambassador has been directly involved in discussions with Guatemalan officials on the adoption situation in Guatemala. Senior State Department officials also regularly raise adoption issues with their Guatemalan counterparts. In light of allegations regarding the integrity of Guatemala’s former adoption process, Guatemalan Government authorities are making a concerted effort to confirm all aspects of every case. Because of the large number of investigations, progress overall is likely to be slow. On October 8, the CNA issued a statement telling parents they should not hire private attorneys or notaries to process their adoptions. The announcement applies only to cases that the CNA is processing at this time, i.e., pre-Convention abandonment cases or others that cannot be processed by the PGN. USCIS Field Office Guatemala City received final Guatemalan adoption documents for 13 cases during the period from December 1, 2009 to February 28, 2010. USCIS Field Office Guatemala City also reminds prospective adoptive parents of the new procedures for the 1st DNA test required in relinquishment cases. All 1st DNA appointments must be scheduled by USCIS. For more information or to schedule an appointment for DNA collection, please contact USCIS at: Guatemala.Adoptions@dhs.gov. The Guatemalan National Council on Adoptions (CNA) – the Guatemalan Central Authority–has announced a limited two-year pilot program. One component would seek international placement for a small number of primarily older children, groups of siblings, and children with special needs. (See information in Spanish on the CNA’s website http://www.cna.gob.gt/portal/adopcionesinterncionales.html.) According to the CNA, this program will not affect Guatemala’s efforts to process already–pending Guatemalan adoptions. The pilot will identify a maximum of four receiving countries and one adoption service provider in each country to seek placements for these children. In late February, the Department of State’s Office of Children’s Issues (CI) submitted to the CNA the final information regarding potential U.S. participation in the proposed pilot program. According to a recent press article, a total of ten countries expressed interest. The CNA estimated the selection process would take several months. Even if selected, however, the United States must review the Pilot Program, once the final details are presented, to determine that it is in conformity with the requirements of the Hague Adoption Convention. Central Authority has not determined that Guatemala’s intercountry adoption procedures are in compliance with the Hague Convention on Adoption. handle placements. In addition, the CNA emphasizes strongly that the profile of children who would be placed under this pilot program contrasts sharply with the profile of most children previously adopted internationally from Guatemala. Camryn was adopted from Cambodia in December 1999. Her adoption adoption story was highlighted in the Washington Post and People magazine after it was discovered and reported that her history and documents had been falsified. Due to Camryn's bravery and the Mosley's persistence, the agency that arranged Camryn's adoption, Seattle International Adoptions was investigated and finally closed. It's owners, sisters Lauryn Galindo and Lynn Devin, pled guilty to numerous federal criminal charges. Please take a moment to read Camryn's story. In November 2009, the Hague Conference undertook a preliminary mission in Nepal in order to assess the needs of the country to prepare itself to the ratification of THC-1993 at the demand of the Nepalese Government. The results of this mission demonstrate clearly that an adequate legal framework for intercountry adoption in Nepal is missing. The Nepalese Terms and Conditions 2008 are not compliant neither with the art.21 of the Convention of the Right of the Child nor with the most important principles of THC-1993 such as the best interests principle, the principle of subsidiarity, lack of support and counselling for the birth parents about the legal effects of relinquishment or abandonment of their child etc. Other challenges include the identification of abuses linked to the declaration of the adoptability of the child, lack of transparency and accountability of the money coming to Nepal, falsification of documents of the child and the absence of a clear policy of intercountry adoption as a child protection measure. In light of these weaknesses, the Hague Conference with a number of receiving countries and other international organisations have offered to provide continued support to Nepal. In particular, the Hague Conference made some key recommendations such as the development of programmes for family preservation, a better regulation of Children’s Homes, the establishment of a new law on adoption integrated in a comprehensive law on child protection, capacity building and the elimination of financial gain form intercountry adoption. The Hague Conference finally underlines that a temporary suspension of intercountry adoption system will be necessary to reform the intercountry adoption system. Ethiopia revoked the license of nine orphanages (charity organizations) who they claim to be involved in â€˜illegalâ€™ activities of child rights abuse, APA learns here on Wednesday. The nine charity organizations have been working to adopt children for the past few years to Europe and America. However, the office, which is in charge of registering charity organizations at the Ethiopian Ministry of Justice refused to give details as to what kind of illegal activities the organizations were involved with regards to child rights abuse. Child trafficking is high in Ethiopia where a good number of children are reported to be adopted illegally annually. The decision to revoke the license of the nine organizations was made while the government was undertaking re-registration of charity organizations and other NGOs that are operating in Ethiopia. PEAR is attempting to identify which orphanages have closed. We will update the blog as information comes in. "Hold your head up", they say. How can I make my way in this world? I don't need a family. They didn't care and wouldn't listen. You can't fight what another person says. I walk away but I know I am not the only one feeling like this. But for me it's my home. But for me it is everything. On December 3, 2009, new legislation on intercountry adoption was signed into law in Cambodia. The new law seeks to create a country-wide comprehensive child welfare system and an intercountry adoption process in compliance with the Hague Intercountry Adoption Convention (the Convention) to which Cambodia is a party. This is an important first step in Cambodia's expressed commitment to reform its child welfare system and meet its treaty obligations under the Convention. In order to be able to establish necessary regulations and standard procedures to implement the new Law on Intercountry Adoption, the Cambodian Ministry of Social Affairs, Veterans and Youth Rehabilitation has announced a temporary suspension of the receipt of all new intercountry adoption dossiers until March 2011. This will not adversely affect any U.S cases since no new cases have been submitted in the last several years. At this time, it is not possible to estimate when adoptions will resume between the United States and Cambodia. In order to implement the new law in full, Cambodia will first need to establish the necessary government structures to support it, draft and finalize prakas (Ministerial orders/regulations), and determine and fill staffing and training needs. Issues related to transparency in fees, procedural safeguards, determination of a child's eligibility for intercountry adoption, criminal penalties and the creation of a strategy to formalize and strengthen the domestic adoption system will all need to be addressed effectively. The United States continues to support Cambodia's desire to create a child welfare system and an intercountry adoption process that fulfills its obligations under the Hague Intercountry Adoption Convention and welcomes Cambodia’s efforts to fully implement the new law on intercountry adoption. Recently, the U.S. Embassy has implemented several changes to the adoption visa process, including conducting significant additional review of each case and field investigations. In light of our findings, and recent serious allegations and news reports involving Ethiopian adoptions, we will require additional time to process each case from any agency in which the child was processed through Gelgela orphanage. Effective immediately, the Embassy will require 8 weeks' processing time for each adoption visa case in which the child was processed through Gelgela orphanage. This means that families will not receive an immigrant visa appointment until 8 weeks after the complete case file is submitted to the Embassy. We will not accept incomplete case files in these cases under any circumstances. It is the agency's responsibility to plan family travel accordingly. Cases that have already been submitted will continue to be processed as previously scheduled. For cases already scheduled (for which the Embassy already has the case file), those parents should expect potentially lengthy delays in the processing of cases involving children from Gelgela orphanage. *PEAR has unconfirmed information that Choices in Canada runs their program as a partner with CAFAC - families currently using Choices are advised to consult with them concerning this. **Please note that Werelderkinderen closed their Ethiopia program due to inconsistencies and unreliability of background information provided about Ethiopian children. http://www.rnw.nl/africa/article/netherlands-freezes-adoption-process-ethiopia EDITED NOTE 3/23/2010 1:56 pm EST: Netherlands agencies Stichting Afrika and Vereniging Wereldkinderen will resume Ethiopian Adoptions per press release of Febriuary 18, 2010 see: http://english.justitie.nl/currenttopics/pressreleases/archives-2010/100218no-reconsideration-of-adoptions-from-ethiopia.aspx?cp=35&cs=1578 for details. The Farm, Inc. / TF1 Family Services, Inc. The Department of State is aware of a growing number of Internet scams offering to match prospective adoptive parents with a child who is allegedly available for adoption in Cameroon. Americans should be extremely cautious about sending money to any individual in connection with adopting a child they have only corresponded with by e-mail. Cameroonian law requires that prospective adoptive parents MUST travel to Cameroon and participate in person in the legal procedures that govern Cameroonian adoptions. Furthermore, in order for an adoptive or prospective adoptive child to come to the United States to permanently reside, the U.S. citizen adoptive or prospective adoptive parent MUST file an I-600A or I-600 application with the Department of Homeland Security, United States Citizenship and Immigration Services (USCIS) and the child MUST be issued the appropriate immigrant visa by the U.S. Embassy in Yaounde. The U.S. Embassy in Yaounde maintains a database of aliases and e-mail addresses used by known scam artists that have been brought to its attention. Before sending money to any individual who claims that they can match you with a child in need of a family, please check with the U.S. Embassy first by writing to YaoundeACS@state.gov . Should prospective adoptive parents wish to hire a Cameroonian attorney to assist with the adoption, you can obtain a list of attorneys maintained by the U.S. Embassy in Yaounde. WASHINGTON — U.S. Citizenship and Immigration Services (USCIS) announced that on April 1, 2010, it is centralizing processing and adjudication of all new orphan (Non-Hague) petitions with the agency’s specialized adoptions team in Missouri. Prospective adoptive parents will continue to file their Petition to Classify Orphan as an Immediate Relative (Form I 600) and Application for Advance Processing of Orphan Petition (Form I 600A) with USCIS’ Dallas Lockbox facility. The Lockbox will forward the case to the Orphan Unit at USCIS' National Benefit Center (NBC) for processing and adjudication. The applicant will receive a receipt notice with the NBC address and contact information for follow-up correspondence. Parents will also benefit from the specialized skills and experience of the NBC Non-Hague Adoption Unit, based on the NBC’s implementation of the USCIS Hague Adoption Convention program in 2008. Local USCIS field offices in the United States will continue to accept requests for extensions and change of circumstances for approved Form I-600A applications in accordance with the current filing instructions. Overseas U.S. citizens may continue to file Form I-600 at a U.S. Embassy, consulate or USCIS office abroad that has jurisdiction to accept the petition. However, in order to file a Form I-600 petition abroad, the petitioner must have an approved Form I-600A and be physically present in the adoptive child’s country. GUATEMALA CITY — International adoptions will resume in Guatemala this June after a nearly two-year suspension prompted by the discovery that some babies were being sold, officials announced Wednesday. Four foreign adoption organizations will be selected to be part of the pilot program, said the president of the National Adoptions Council, Elizabeth Hernandez. Until the door to adoptions slammed shut in 2007, Guatemala was the world's second-largest source of babies to the United States after China due to its routinely quick adoption process. At least 25 cases resulted in criminal charges against doctors, lawyers, mothers and civil registrars. As a result, thousands of adoptive parents, most from the U.S., were forced to put their adoptions of Guatemalan children on hold — many after paying thousands of dollars. Last year, the National Adoptions Council began requiring birth mothers to personally verify they still wanted to give up their children. Nearly 1,000 of 3,032 cases investigated were dismissed, however, because no birth mother showed up. Prosecutors suspect many of the babies in those cases never existed — that Guatemalan baby brokers registered false identities with the council in hopes of matching them later to babies obtained through fraud. There will be a significant difference between the old and new systems. Previously, potential adoptive parents requested children with certain characteristics. Now, the National Adoptions Council will simply present a list of children who are eligible for adoption and ask that its foreign counterparts find families who would be best suited for them. Over the past two years, PEAR has received numerous comments and complaints concerning adoptions from Ethiopia. PEAR has launched a survey for US citizens who are adopting from or have adopted from Ethiopia. The survey requires you to give PEAR your contact information which will not be published. PEAR intends to report results on our blog and to governmental authorities to recommend changes in the adoption process that will eliminate ethical concerns and protect the members of the adoption triad. PEAR’s intent is NOT to garner support for the closure of adoptions from Ethiopia. The survey is 20 to 30 minutes in length. If you would like to contribute to this survey but are short on time, then you can complete the short 5 minute option available after completing the demographic information section. A fix has been made at 5PM EST for Prospective parents trying to take the survey, so you are able to proceed and complete the survey. The Attorney-General, the Hon Robert McClelland MP, has decided to lift the suspension of the Ethiopia–Australia intercountry adoption program. The program will recommence accepting new referrals of children in need of intercountry adoption and matching these children with prospective adoptive parents as at 6 April 2010.
provide development assistance and how this might be done in a manner consistent with the Hague Convention. The visit also provided the Department with an enhanced understanding of the practical challenges facing the program. Information gathered during the delegation visit was incorporated into the Department’s formal review of the program, which has been underway since June 2009. The Department received over 400 submissions about the program, which were also considered in the review process. some of Australia’s other intercountry adoption programs). In addition, the Department will be working to finalise a new memorandum of understanding with the Ethiopian Government and a new Service Agreement with an Australian representative. These changes, which have been identified as necessary for the program’s continuation, will also require a restructuring of fees to reflect actual costs and the need to provide development assistance. The continuation of the program’s suspension until 6 April 2010 will be necessary to ensure adequate safeguards are put in place.The executive summary of the review is available from the link below. The full document is classified and will not be made public. The U.S. Embassy continues to work with the Government of Ethiopia to ensure that appropriate safeguards exist to protect prospective adoptive children, their birth parents, and prospective adoptive parents. Please continue to monitor adoption.state.gov for updated information. It is more than three years since officials came to Thu's village and offered her the chance to send her daughters - Cao Thi Lan, 3, and Cao Thi Luong, 8 - to be educated in the provincial capital. Instead, they were sold for adoption overseas. Clutching the only photographs she has of the girls - shots ironically taken at the children's home to send out to prospective adoptive parents abroad - the pain of separation from her daughters is as sharp today as it was on the day she last saw them. Lan and Luong were among 13 children taken away from Vietnam's smallest and least developed ethnic minority - the Ruc hill tribe - and then given to adoptive parents in Italy and the US months later in return for fees of around 10,000 US dollars per child. A police investigation has been launched into complaints from the parents that their children were adopted without their permission but villagers fear it will be a whitewash and want foreign governments to intervene. Those pleas to diplomats have so far fallen on deaf ears. It was in September 2006 when officials from Quang Bing province's capital Dong Hoi visited the tiny hill tribe, which numbers only 500 people. They picked out 13 children aged 2 to 9 and offered to house and feed them at a children's social welfare centre in Dong Hoi and return them when their education and vocational training was complete, the families say they were told. The parents - all poor farmers and most illiterate - agreed and were driven to Dong Hoi with their children where they signed consent forms placing them into the care of the local authority. Four months later, in the Lunar New Year holiday in 2007, Thu went to visit her daughters. 'They looked well but they missed me very much. They said 'Mummy, please take us home',' she recalled. 'I couldn't bear to see them so sad so I decided to take them home. I took them by the hands and led them out of the children's home towards the bus stop - but the security guards stopped me and told me I couldn't take them away. A year later - shortly before the 2008 Lunar New Year holiday - Thu travelled to Dong Hoi to visit her daughters again. When she arrived, she was told both girls had been adopted overseas. News of the children's fate spread quickly around the Ruc community villages as other parents discovered that their sons and daughters too had been sent overseas for adoption. Some were even handed photographs of their children with their new adoptive parents. In the provincial capital Dong Hai, Le Thi Thu Ha, director of the children's home where the 13 children were taken, confirmed a police investigation had been launched into the circumstances in which the Ruc children were adopted overseas. Ha - who recently replaced former director Nguyen Tien Ngu who handled the adoptions - insisted, 'All of the legal documents (for the adoptions) were in order. It was approved by the provincial ministry of justice and the provincial social welfare centre and it was done with the consent of the Ruc parents. By the time the investigation is complete, the children will have been apart from their parents for more than four years. Despite appeals made to them nearly two years ago, neither the US nor the Italian embassies have taken up the parents' cause. Anthropologist Peter Bille Larsen, who worked in the border area, alerted the embassies in early 2008 and is baffled by the inaction. He argues the children should be sent home however long it takes. 'I would want to see my children again even if they had been sent to the other end of the world,' he said, dismissing the idea that the youngsters were better off in relatively wealthy western families. Asked why diplomats in Hanoi had apparently done nothing to help the families, Italy's charge d'affaires in Hanoi Cesare Bieller said that his embassy had no powers of investigation. Last month, PEAR joined in with Global Action for Children in voicing our opposition to the Families for Orphans Act. The Senate version act is currently sitting in the Committee on Foreign Relations. Below is the letter sent to Senator John Kerry, Chairman of the Committee and Senator Richard Lugar , Ranking Member. We are writing in strong opposition to the Families for Orphans Act, S. 1458 and are dismayed that its supporters are using the tragedy in Haiti as cause for moving forward this counter-productive legislation. Instead of building on the success of offices that are already working for children worldwide, the bill needlessly duplicates the Orphans Assistance Act (PL 109-95) in some areas and conflicts with the mandate in others to the detriment of children and their families. The Families for Orphans Act calls for the establishment of a separate Office of Orphan Policy, Diplomacy and Development within the State Department. Establishing such an office would be entirely duplicative, not to mention harmful to the successful on-going coordination between U.S. government agencies supporting orphans and vulnerable children and adoption in Haiti. The Department of State (DOS), Bureau of Consular Affairs, already has statutory authority to handle all child welfare matters that involve intercountry adoption of orphans from Haiti or elsewhere. This existing authority has taken efforts to fast-track adoptions from Haiti that were already in the pipeline and in the past few weeks has issued approximately 900 visas to pre-identified orphans eligible for adoption and in the adoption process —three times the typical number of visas issued annually to children for adoption from Haiti. Adding an additional office in the State Department would harm rather than help children in Haiti and elsewhere. The redundancy would confuse and duplicate efforts as well as drain precious funding and resources. A more effective route would be to fund the existing PL 109-95 Secretariat (Orphans and Vulnerable Children office) which is currently, despite being unfunded, doing a heroic job of coordinating all U.S. agency efforts in Haiti on behalf of Orphans and Vulnerable Children. The bill would impose expensive and impossible-to-achieve requirements on poor countries. This not only burdens already over-burdened countries with red tape, it puts the future of working programs already in place like child survival, maternal health and the President’s Emergency Plan for AIDS Relief (PEPFAR) in jeopardy. The Families for Orphans Act mandates a biennial census of children without permanent parental care for all member countries of the United Nations including the United States. Not only would such a census be literally impossible for countries to comply with, it would cost billions of dollars to even attempt—billions that could be used to actually assist families to care for their children. Further, according to this legislation, if countries failed to comply with these untenable requirements, the development assistance they receive from the United States, some of which supports the very children this bill purports to assist, might be cut off. We are all motivated to assist orphans and vulnerable children in crisis in Haiti and around the world and thank you for your dedication to these too-often overlooked kids. Yet this bill is not the solution they need. We are worried that it is being rushed through Congress without enough public discussion regarding how it will impact longstanding U.S. global programs that are already in place to help these children and their communities grow. Therefore, we strongly urge you to decline to consider this ill-conceived bill and instead fully fund existing mechanisms, such as the Orphans Assistance Act, that are doing good work on behalf of orphans and vulnerable children around the world. 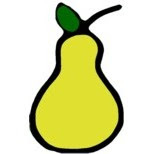 This library is housed at http://www.pear-now.org/resources.html , where you can freely download the pdf directories . Series 2 has four directories: California, Arizona, Hawaii, and Nevada. Parents for Ethical Adoption Reform (PEAR) does not officially endorse any listing in these directories. The contents are provided for informational purposes only as a community service. Each state directory is arranged into four sections: Health, Education, Bureaucracy, and Support alphabetically by city. Health contains Early Intervention information and licensed practitioner listings. Each listing has a designation for specialty or service with a PEAR. See the index at the beginning of the document for definitions. Residential Treatment Centers are included here. Check back on the PEAR website soon for the release of future state series. On February 24, 2010, the Deputy Prime Minister of Swaziland informed the U.S. Embassy in Mbabane that it will not process intercountry adoptions cases while the Department of Social Welfare completes a review of its adoption procedures. Only cases that were already with the Swaziland High Court will be processed during the review. The U.S. Embassy in Mbabane has not been provided with an expected completion date of the review.